We appreciate your interest in our LC-Foods Products. 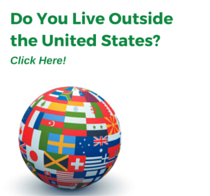 YES, we can ship to you Internationally anywhere in the world. To save significantly on your shipping costs, we have dedicated distributing partners waiting to serve your needs near or in your country. Please see locations below where you can purchase LC-Food Products in other countries and contact the one closest to you for savings on shipping costs. We look forward to serving your needs through our network of distributing partners. Interested in Becoming a LC-Foods Distributing Partner? LC-Foods is looking for reliable distributors in many countries around the world that desire to supply low carb, sugar free, gluten free, healthful and artificial sweetener free products to the customers they serve. Please contact us with interest to distributing LC-Products in your country. We are happy to help you get started and support your efforts.